There are three different types of digital files, broadly speaking: ones for printing, ones for modeling, and ones for 2D drawings. In order to produce a physical part, a 3D printer requires a specific file type. Known as a 'mesh model', the most common file type for 3D printing is called STereoLithography, or STL. .STL: STL (STereoLithography) is a file format native to the stereolithography CAD software created by 3D Systems. STL is also known as Standard Tessellation Language. This file format is supported by many other software packages; it is widely used for rapid prototyping and computer-aided manufacturing. STL files describe only the surface geometry of a three-dimensional object without any representation of color, texture or other common CAD model attributes. An STL file describes a raw unstructured triangulated surface by geometries located within a standard Cartesian coordinate system. STL coordinates must be positive numbers, there is no scale information, and the units are arbitrary. All of these facets enable slicing software to interpret the models and produce .gcode files for 3D printer host software. Exporting an STL file for printing is one of the first steps in producing a 3D model on a 3D printer. 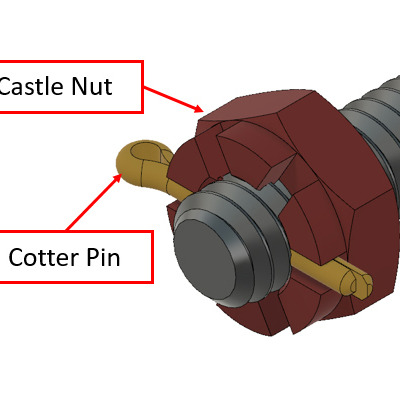 Many programs capable of designing 3D models are also capable of exporting or saving those models as .stl files, although occasionally it is necessary to import the models into a more robust software that offers .stl as a final export option. .AMF: This open standard is used for describing objects to be created using additive manufacturing processes such as 3D printing. The official standard is readable by many CAD programs and can describe the shape and composition of any 3D object to be fabricated on any 3D printer. Unlike .stl file formatting (which precedes .amf), AMF files have native support for color, materials, lattices, and constellations. .X3D: Used chiefly by printing service bureaus, X3D files can store a vast amount of information related to 3D graphics and scenery. The format is XML-based, supporting complex renderings and visualizations across software platforms. X3D strives to become the 3D graphics standard for web-based content, as it is robust enough for viewing objects—whereas most other formats are largely useful only for modeling parts and interpreting surface data. Collada: Collada (Collaborative Design Activity) formatted files hold data for many interactive 3D applications. The nonprofit technology consortium known as the Khronos Group manages the format. Like X3D, it is XML-based and capable of transferring graphics data between various applications and programs. .OBJ: The OBJ file format is an open data-format that represents 3D geometry alone — namely, the position of each vertex, the position of each vertex in a coordinate system. OBJ coordinates have no units, but OBJ files can contain scale information in a readable comment line. As this format is widely used by 3D modeling programs, it can be transferred between programs and interpreted on its own by some slicing and host softwares for 3D printing without exporting as an STL file. .IGS: is a vendor-neutral (not owned by any one company) file format that allows the digital exchange of information from CAD software. "IGES" models with the .igs extension can be used to display various forms of technical information including wiring diagrams, wireframes, and 3D solid models. Although it has existed for more than three decades, the format is still in use. There has been substantial effort to replace .igs with STEP files of the .stp extension, but this has not completely succeeded as of 2014. .STEP or .stp: refers to a STEP file, which is an abbreviation of: Standard for the Exchange of Product model data. 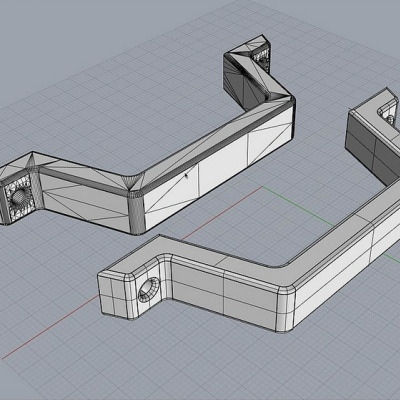 These files represent 3D objects in CAD software, and can contain related information. 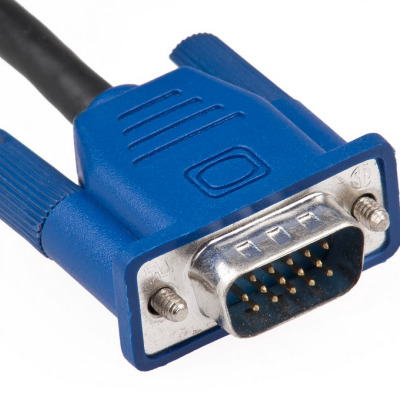 It was designed as a successor to IGES (.igs), although it has not fully replaced it. STEP files are as close to the universal standard of 3D modeling as is currently available. STEP files are used in many industries and can contain data from the entire life-cycle of a product's design. .blend: is the format used by Blender. Each .blend file contains a database; this database contains all scenes, objects, meshes, textures, etc. that are present in the file. .dae: was designed as a format for collaborative design activity for establishing an interchange file format for interactive 3D applications. .ipt: is used by Autodesk Inventor, a program for designing 3D object prototypes. The data consists of a single 2D or 3D object that can be combined with other parts in assembly files (.iam). .obj: is an open file format that has been adopted for 3D graphics by many different applications and software programs. It is a universally accepted format and can be read by almost any 3D modeling program. .skp: is used by Google SketchUp, a free 3D modeling program that allows conceptual designs to be created, viewed, and shared quickly and easily. Models created with SketchUp can also be placed within Google Earth. .fbx: is an exchange format, in particular for interoperability between Autodesk products and other digital content creation (DCC) software packages. .lwo: is a format for the LightWave high-end software package used for rendering 3D images, both animated and static. Recent versions of Lightwave also use Collada. .off: refers to Object File Format (.off). These files are used to represent the geometry of a model by specifying the polygons of the model's surface. The polygons can have any number of vertices. .ply: is the a computer file format known as the Polygon File Format or the Stanford Triangle Format. The format was principally designed by the Stanford Graphics Lab to store three dimensional data from 3D scanners. In some cases this can be used as alternative to STL files. .dwg: is a binary file format used for storing 2D and 3D design data and metadata. It was developed by Autodesk and is supported natively in many CAD softwares and can be exported cleanly into many others. .dwf: is a secure file format developed by Autodesk for the efficient distribution and communication of design data to anyone who needs to view, review, or print design files. DWF files are highly compressed, making them smaller and faster to transmit than other types of design files, without the overhead associated with complex CAD drawings and their internal/external dependencies. .dxf: (AutoCAD DXF) (drawing interchange format) is a CAD data file format developed by Autodesk for enabling data exchange and interoperability between AutoCAD and various other programs. It was developed in 1982 and is regarded as a legacy format incapable of storing some modern CAD data. .acis: is a file type used by the ACIS modeling kernel developed by Spatial Corporation. The software can be used for 3D modeling, 3D model management, and 3D model visualization. 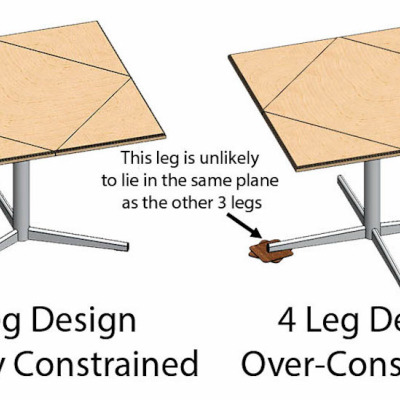 Helpful Design Constraints vs. "Over-Constraint"